When patients are missing teeth, dental implants are the best method to help restore the look and function of their smiles. Once implants are securely in place, they fuse with the jawbone during a process called osseointegration. At our practice in Queens, Drs. Clifford Degel and Carmen Every-Degel have used implant-supported restorations to help many patients achieve strong, beautiful smiles. The crucial process of osseointegration will allow your implant to mimic the function of a dental root while preventing the bone atrophy that naturally occurs after tooth loss. The stability provided by the process also ensures that patients will not have to worry about their prosthetics moving out of place after treatment so they can eat, speak, and smile with complete confidence. After your dental implants have been placed, bone cells in the jaw will begin to attach directly to the surface of the titanium posts during the osseointegration process. Over the course of four to six months, the area will heal and the implants will become incorporated directly into the structure of the jaw, functioning as tooth roots. During the osseointegration process, bone cells in the jaw will begin to attach directly to the surface of the titanium posts. 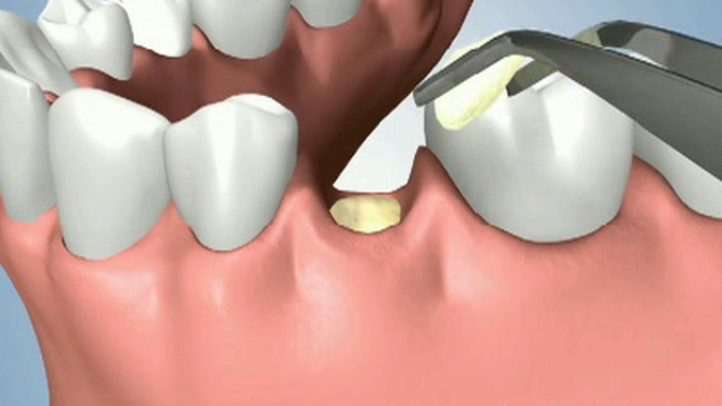 Once the posts have fully integrated, the surgeon will perform an additional procedure to attach abutments. The implant and abutment combine to provide a level of support for dental restorations like crowns, bridges, or dentures that cannot be matched. Missing teeth can have an obvious effect on the aesthetics of your smile. However, many patients are unaware that a lost tooth can also negatively impact their overall oral health. After tooth loss has occurred, the jaw no longer receives stimulation, and the bone and surrounding tissues will eventually begin to deteriorate as a result. Dental implants are the only restorative treatment that can stop this bone atrophy. The implanted posts provide stimulation to the jaw, which helps to maintain strength and bone density. If our doctors believe your jawbone is not strong enough for surgery, we can perform a bone graft procedure to create a sufficient base for the implant. Osseointegration allows dental implants to provide a lifetime of support for your dental restorations. At Astoria Dental Group, Drs. Degel and Every-Degel have a wealth of experience and knowledge in the planning, placement, and restoration of dental implants. While many practices must refer patients to outside specialists in order to complete dental implants treatment, we can plan and perform every step under one roof. If you have suffered from tooth loss, implants are the most highly recommended solution to meet your needs. To learn more about how the osseointegration process can help bring aesthetic and structural balance to your smile, reach out to us today. Please contact our office online or call (718) 278-1123 to schedule a consultation with one of our doctors.